Buy the Denmark/Albany Guidebook and Map together. 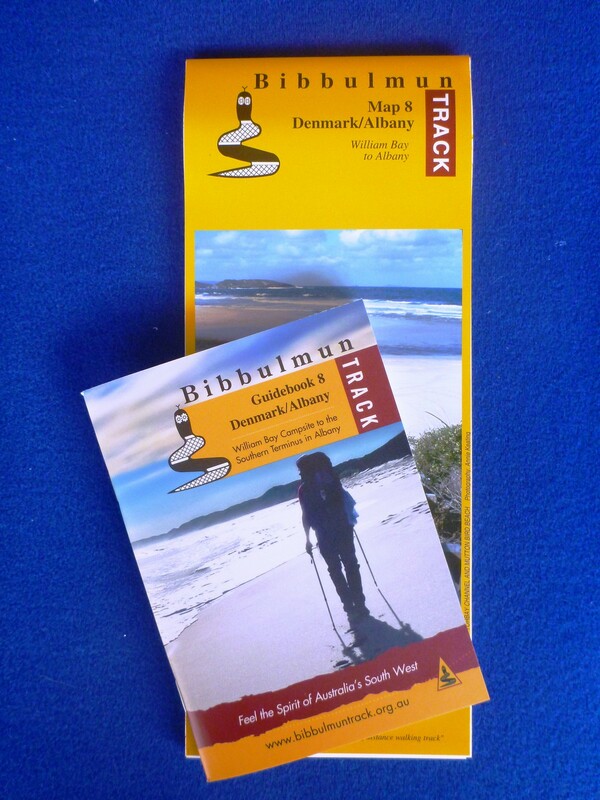 The completely revised Guidebooks have been produced in eight sections to match the Bibbulmun Track Maps, with a separate Bibbulmun Track Handbook containing the general Track information, planning, safety, history and more. The second edition Guidebook comes with updated Track notes and section descriptions as well as a larger font size than edition 1.
new, improved and more detailed Track notes. 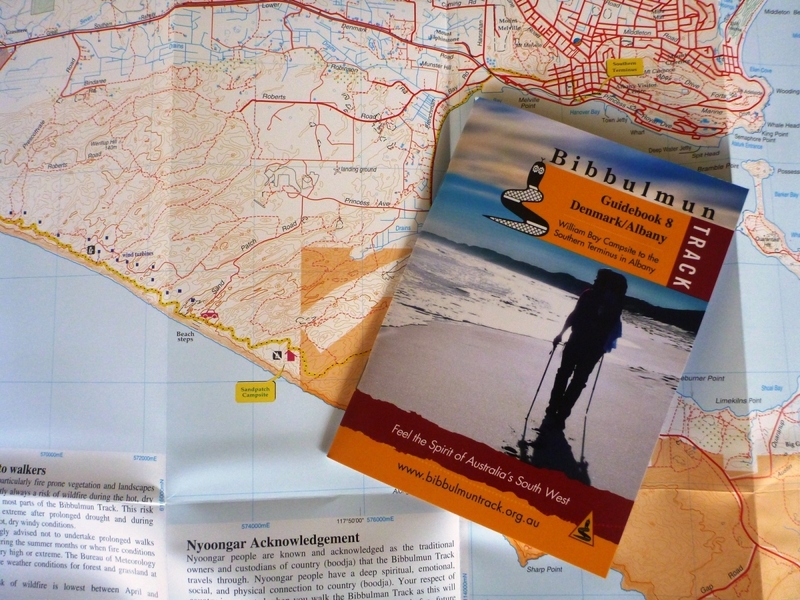 Please note that the new Guidebooks do not contain maps, distance tables or terrain profiles as this information is already on the official Bibbulmun Track maps. The Guidebooks are designed to be used in conjunction with the maps. The division into eight books plus the handbook means that you need only carry the book that relates to the section you are walking. The Guidebooks are pocket sized. Get the Guidebook combo and save (all eight Guidebooks plus the free Handbook). Get the full set of Guidebooks, Maps and free Handbook. Get Guidebooks 5 to 8 and Maps 5 to 8. Check out other combos in the shop. Bibbulmun Track Foundation members receive 10% discount on all merchandise. To receive your discount, learn how to become a member.